So with quests heading off to both zones I decided. As you can see above, Un'Goro Crater it was! Mainly because the name seemed appealing to me, and I hadn't been to the zone in my previous experiences. Anyway, first impressions were just a the name states. A crater. 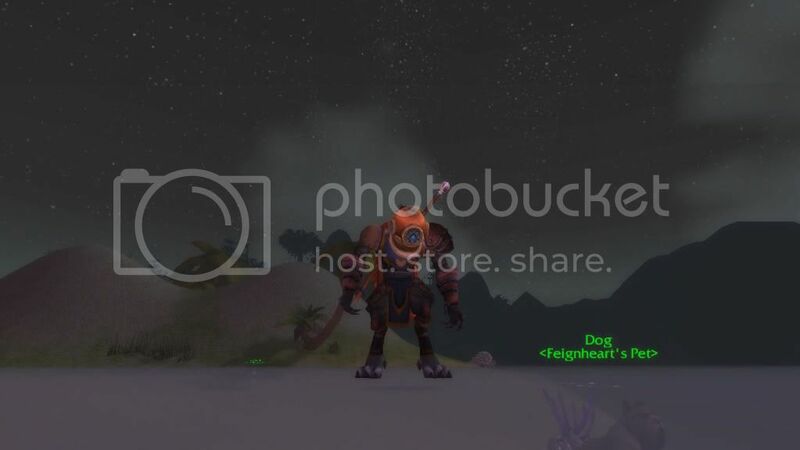 You literally find yourself, upon entering the zone, venturing down and down until you reach ground level, which is full of life compared to previous area of Tanaris. The idea I get from this zone, is Jurassic Park. 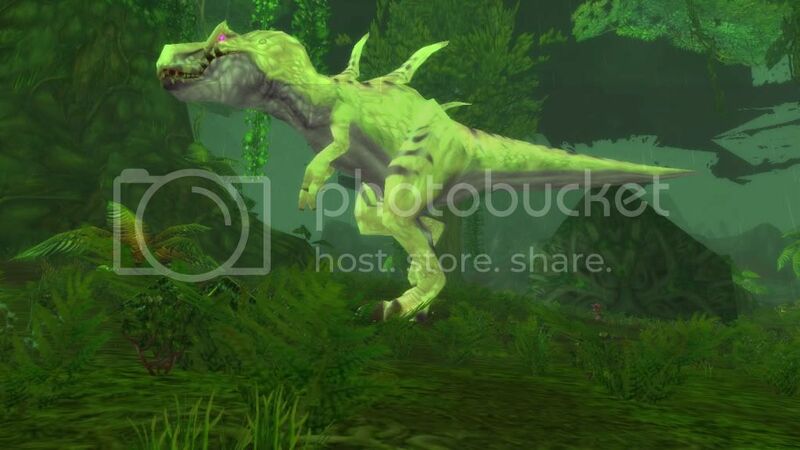 It really is a prehistoric rain forest, especially with the wandering elite dinosaurs looking for their next meal (As shown in the screenshots above)! 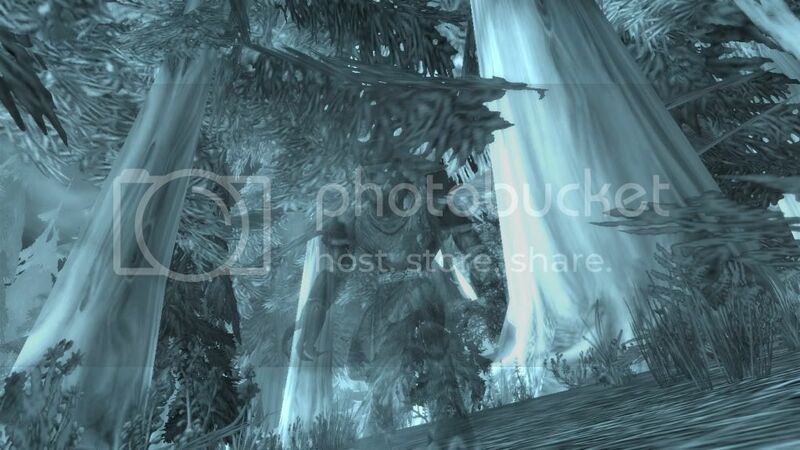 The nature of this zone, with all it's cover of hanging trees, blocked me from getting a wide screenshot of the zone. So that just gives everyone somewhere to explore, if they haven't already! 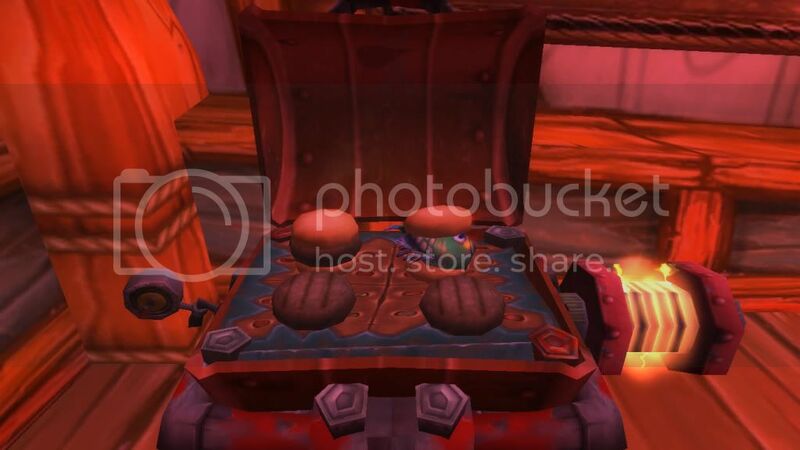 With this zone, I also noticed a sheer amount of items to gather. Which you eventually find can be handed in, to gain stat increases etc while in the area. This is also a point I have noticed with many of the zones. Though most have always had unique features to aid you while in the respective areas, I never paid much attention to them. Even if you are not into spending time gathering things unnecessarily, the advantages you gain can really make a difference. From XP increases, to stat increases, to speed increases for example. To add, most of bonuses you gain while questing anyway. So no need to go too far out of your way when leveling! Ice Trap - When triggered, lies down a nice AoE slowing affect for a period of time. (Great when paired with explosive trap! After my short training interval, I went back to finishing off the Crater. 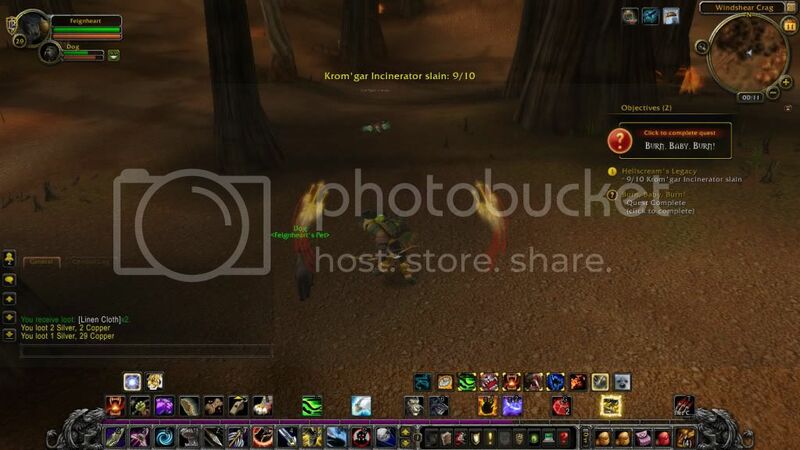 Like usual, being awarded with the Explore/Quest achievements associated with the zone while also hitting level 52. However, after finishing all the quests I had available to me. I didn't seem to have any more to take on, leading me on to another zone. Their was only an ineligible quest, due to me being below the required level, which was displayed as a grey exclamation mark (rather than normal yellow). So after a little pause to gather my thoughts, I had an idea. Why not get the last 2 bars of my level through a battleground. As I remembered they now give you XP! So, into the Eye of the Storm I went! 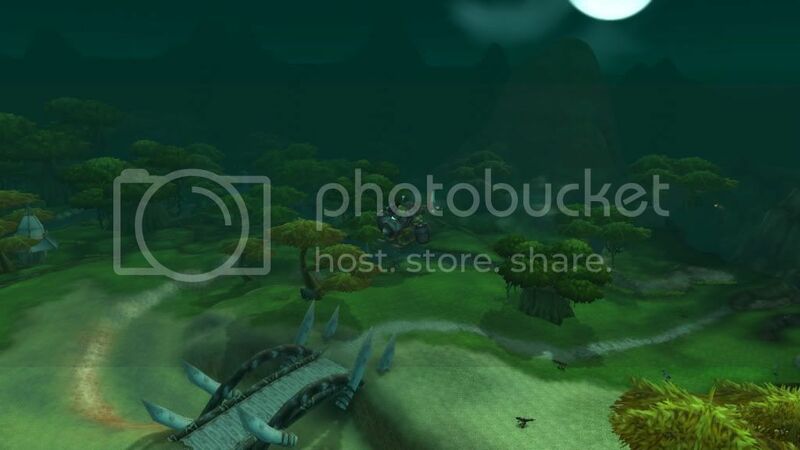 To note, I entered this battleground using the 'Random Battleground' feature which is new to me. This also allowed me to gain more honor, just because I entered using this method, while allowing me to queue from wherever I was in the world (Brilliant). So no complaints their! This was my first proper battleground since started out, and oh was it fun! Got to admit, hectic at times to say the least. Especially with the class imbalances due to different levels/progression etc. Though this only added to the fun! 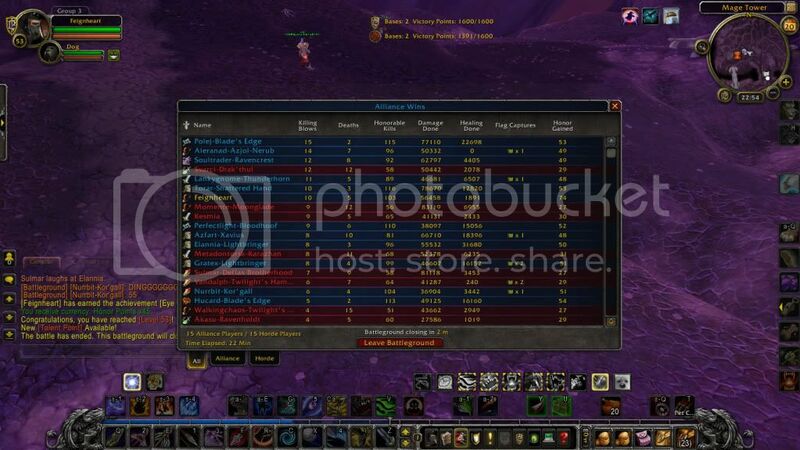 Things seemed like a DPS race at times, with no resilience to protect you. While battling it out, I managed to gain the achievements; 'Take a Chill Pill', 'The Grim Reaper' and '100 Honorable Kills'! In the end WE WON! Now hitting 53 from recieveing an EXTRAORDINARY amount of XP from the battle, which also has no effect on rested XP either, I went back to the ineledgible quest. Only to find out, it was still greyed out! So back to the thinking hat. This brought me to recalling a Hero's board in Darnassus, which gave quests leading to zones at your level. Every other class having 1 vote! So thats that. Now time to post my next question! So make sure to check the poll out (Which is located at the bottom of this page) and place your votes! 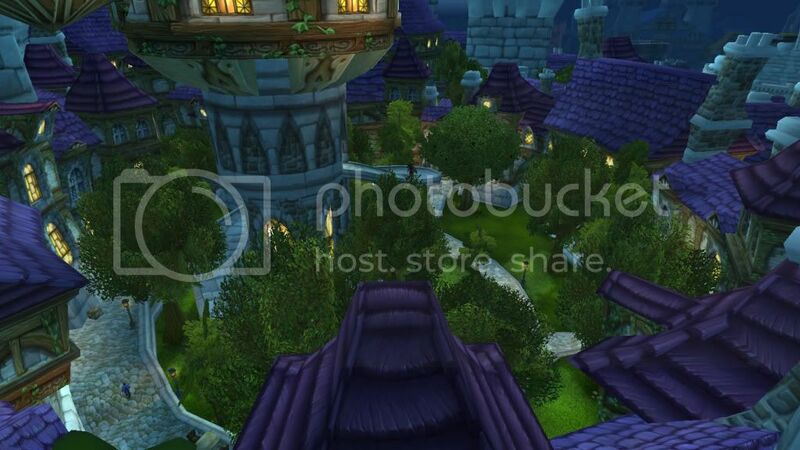 As you can see, their has been a complete overhaul of this zone. Pretty much 95% of the zone, which was a barren wasteland, is now completely flooded, with the ruins of what once was held at the bottom. Only the tops of the towering 'needles' show above the surface of the water. Now lets see what's in store for us with these changes.. 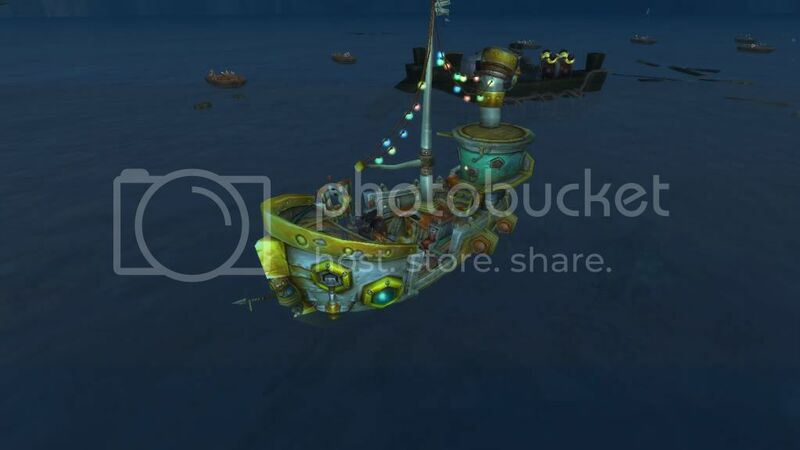 The new Goblin & Gnome Barge! Then after checking out this new spot, and completing the quests that were on board, I was starting to wonder. What else could you possible do here? 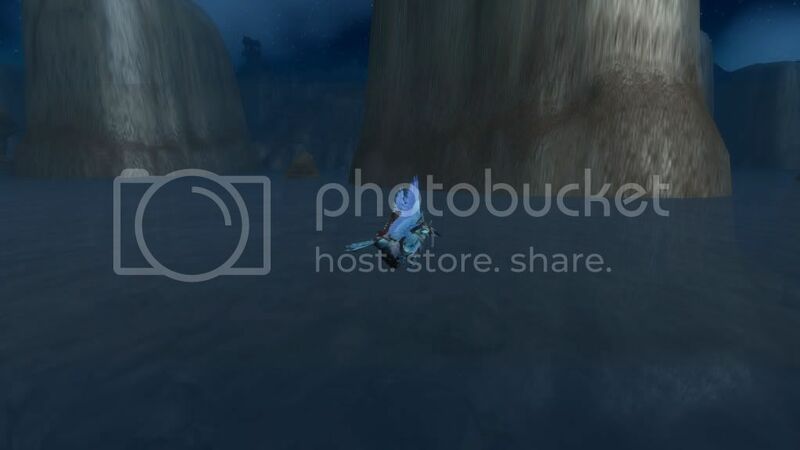 Then at that point you receive a quest which gives you scuba gear! This allows you to breath underwater and also increases your swim speed. 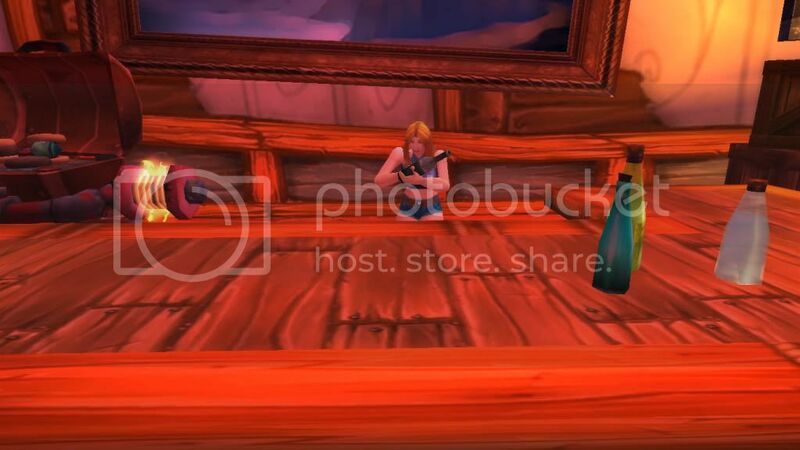 So a few underwater quests, something different. Though what really topped it all, was the gift of your very own boat! Yes that's right, you are cruising in STYLE! Not only that, but it allows you to get around a lot faster, as opposed to swimming around the zone. Anyway, I did end up taking on a number of quests, which are scattered around the zone, mostly above water though. To mention, what caught my attention was the subject of 'oil' in a small quest chain, which shows. 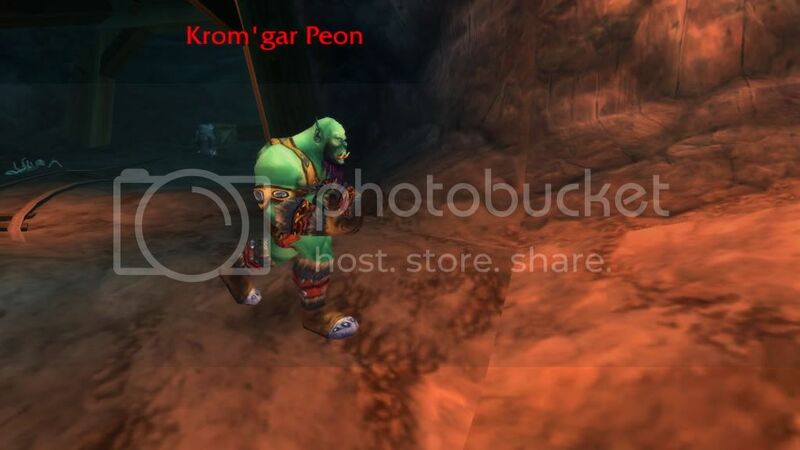 Even in the World of Warcraft, the valuable resource is a cause of war and corruption! Moving on. What I also noticed, was how the tooltips have improved. They now contain just a tick more information (mainly aimed at newer players), that I find a great. Allowing new and more experienced players to understand their skills and realise their many uses. Even if I won't get around to getting anything useful from them, it's nice to know theirs more information available in game to other players. So now I find that I am running around a lot more, and having quite some distances to travel at times, so that's where I placed my acquired talent points. I put them to use in a passive skill which increases my mounted speed, every little helps! Though I instantly noticed the slight increase! Talking about speed, and seeing that I spend quite some time reading through the quests, I have started skimming them. If I am honest, the quests text is great! Don't get me wrong. But it does become rather predictable at times, which is now why I skim read them while on the move to the quest location, to get the main point to why I am doing what I am and how it relates to the story. This small change has actually increased my leveling to a more comfortable speed again, and is actually more enjoyable. However when I do see the story getting really involved, I do again slow it down a notch to read and take it all in. Now, I can add the Thousand Needles to the completed list. Got the explore and quest achievement. 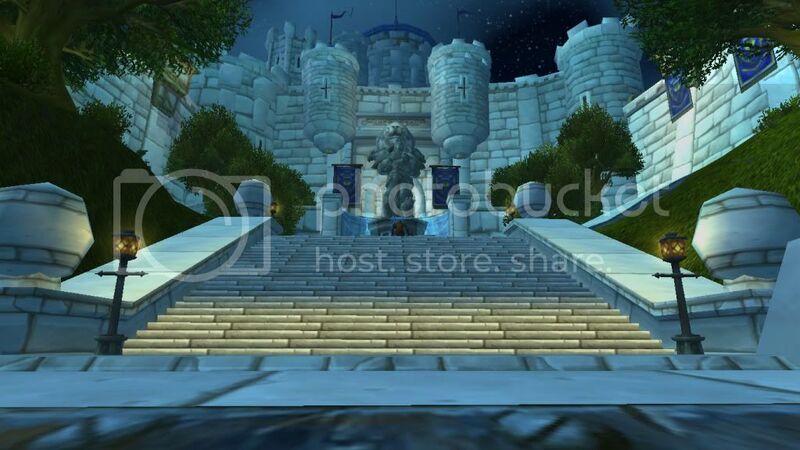 While also getting myself into some world PVP and gaining the 'Know The Enemy' achievement along the way! Level 45. Off the Tanaris! Self explanatory. 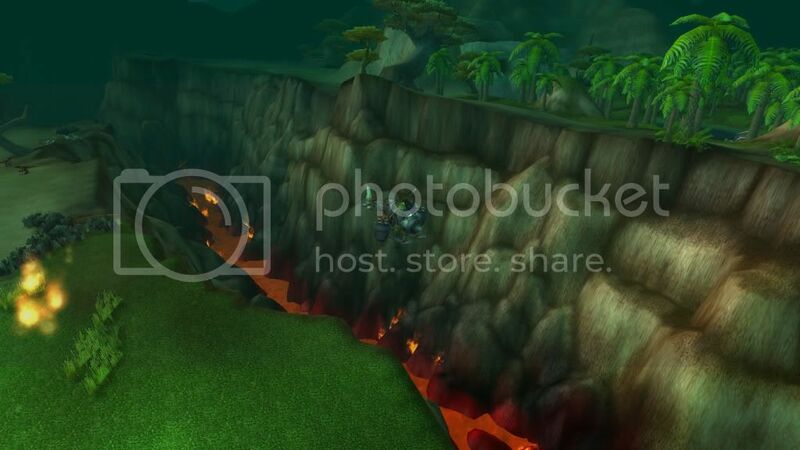 This is the pain I have had to endure on my server when logging in at certain times, reaching well over 1000 sometimes. Though not to focus on the negative, just means I can flick through some blogs and do something constructive in the meantime! This also gave me time to work on my Cataclysm: London Launch Page! Which is now up for everyone to see like I promised. As I explained it would be, is a compilation of all the relevant content that I found on the web relating to the night. Go check it out, and see what you think! Moving swiftly onwards, and back to Feighnheart's adventures! So the last time we left off I had finished off the Southern Barrens and was heading into Dustwallow Marsh. At first everything seemed as I remembered, until I come across a new settlement! A new goblin town has been created, which is the first I have been to so far. Their wasn't much that caught my attention in this zone, apart from one quest I was given. The quest.. To KILL THE FISH! This quest chain ended with you having to rally some troops in Theramore docks and use a small tactic to defeat an elite and very big tidal monster (I'll include a screenshot next). Maybe not the best quest ever, however something different. Then it was that time again, to visit the Trainer. This time picking up some interesting additions. First of all I obtained a new trap, Explosive Trap. Which as the name states, sets of an AOE (Area of Effect) explosion and then damage over time in that area. 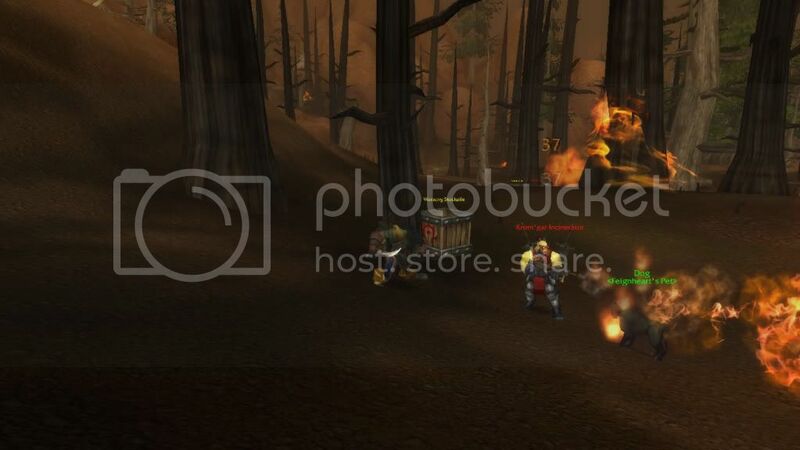 So another handy skill when taking on packs of mobs. I also picked up the ability to Duel Wield and wear Mail! Then it came to my new spell Scare Beast, which on use causes the target to run in fear for a set time (Only works on beasts of course!). Last but not least.. Journeyman Riding! Yes, Running Wild now allows me to move at 100% speed! This is a huge benefit when travelling around the map! For more images check my album here > Screenshot Album! Last point. 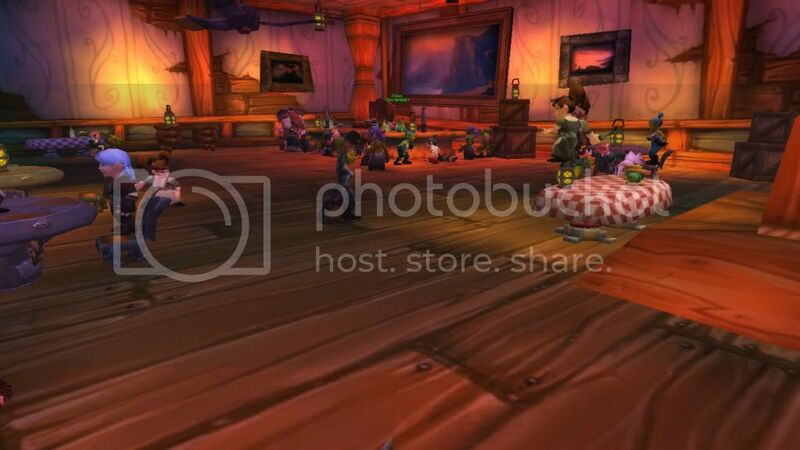 Auction House! If none of you use this, especially when levelling. Get using it! If you come across any kind of recipes, Blue items, profession materials, or just a stack of white items you are unsure about, look them up on the AH and get them out their! Seriously, it's just money wasted when you would usually vendor them! Just by selling a 'Savory Deviate Delight' recipe that I picked up while questing, I got myself a nice 250g! Alongside a number of other random items etc. So everyone who doesn't already, the AH is their for a reason, use it! 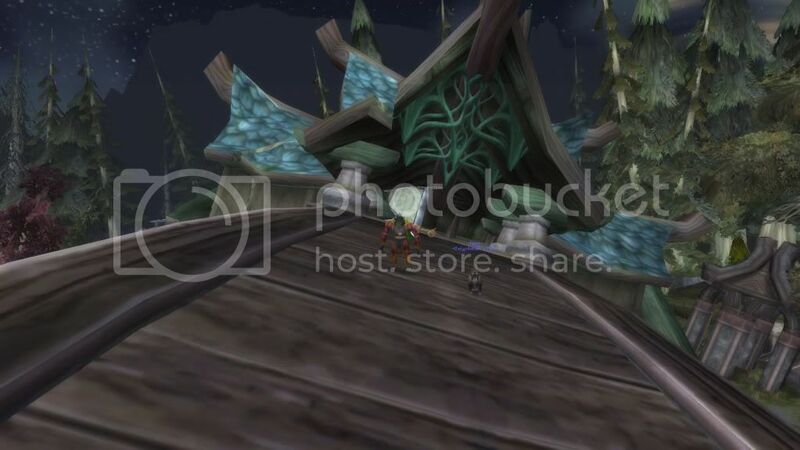 Feignheart leaving you now, at Level 41, and ready to head into Thousand Needles.. 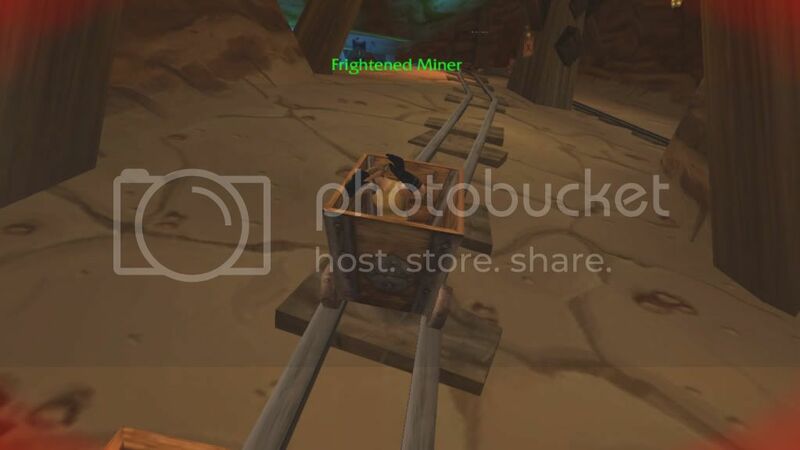 Although the new quest interface does give a lot of aid in finding particular mobs and quest NPC's, it still has it's uses, especially in world PVP scenarios. Next, is my new trap! 'Freezing Trap' to be precise. The effect is rather obvious in the name, but specifically allows you to freeze an enemy in a block of ice for up to one minute, so long as no damage is sent out to them! This is especially good when taking multiple mobs, alongside scatter shot and concussion shot which really give you a ton of utilities and options when taking on difficult scenarios. 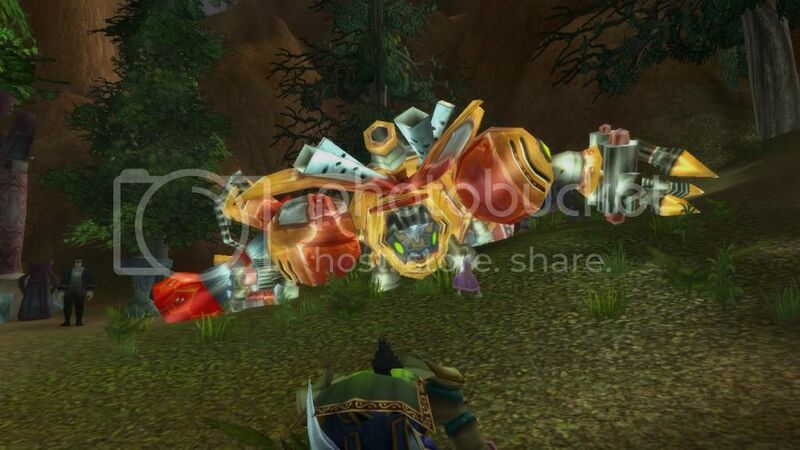 Oh and on the subject of taking multiple mobs, of course multi-shot comes into the equation! 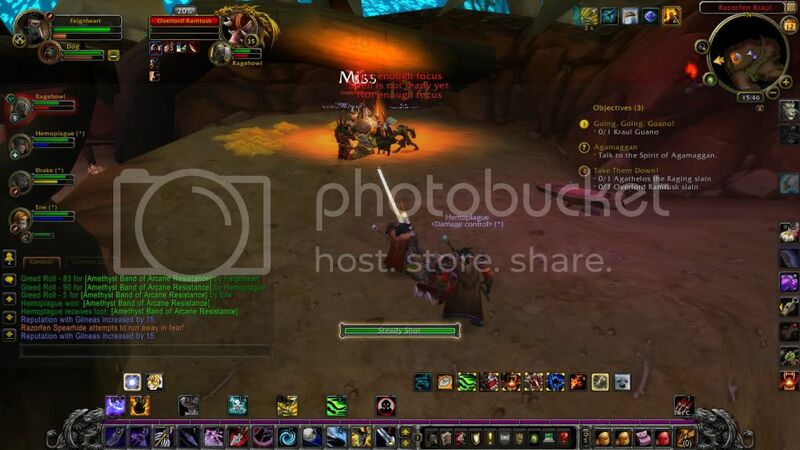 This skill really starts to shine when you fire at a group of mobs, see the numbers fly! Oh the feeling! Getting slightly up to your knees? Then Feign Death is your holy grail. Use this to instantly play dead, and trick your enemies into ignoring you and going back onto your pet (If you have it summoned of course). Want to really hammer out the damage? Look no further than my new talent skill in the Beast Mastery tree. Focus Fire. This ability becomes most effective when your pet has been in combat for some time, and you will know this when the above display appears on your game screen. Your speed, cast and focus are all increased/reduced, to give you that edge in combat! Last but not least is my new finishing (Hopefully it does finish, which it usually does) shot! Kill shot. This skill allows you to fire a very powerful shot after your enemy drops below a specific low health point, meaning night night to your victim! Another point I may add, which I can't believe I missed so far while leveling! Is that weapon skill leveling has been removed! This is actually great! Really means that you have a much wider option when considering you weapons. So it doesn't matter whether I receive a gun/bow/crossbow/dagger/staff! Just pewpew with my new awesomeness! Excitement displayed. So.. Now with my Razorfen Kraul and the Southern Barrens Quest achievement, time for me to again move on.. To Dustwallow Marsh! 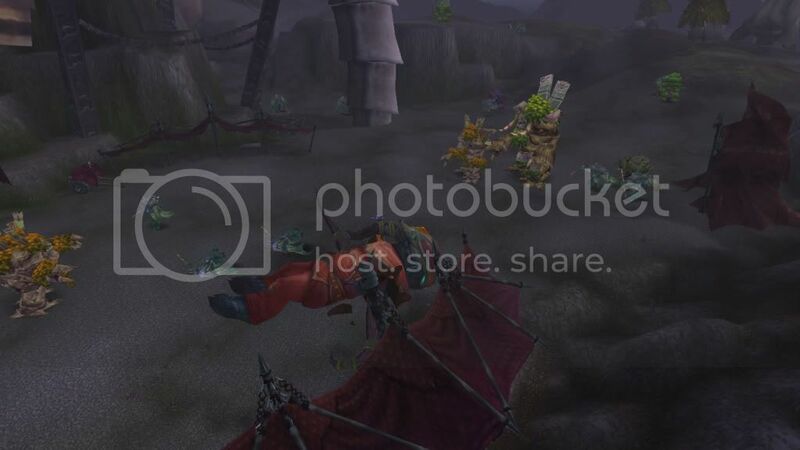 .. Not the most dramatic image to display the 'bloodthirsty' attacks made by the horde, I know. Though if I am honest, I get so enticed when playing now, that I just forget to printscreen some good shots. So at the end of this post I'll try to do some making up for it! 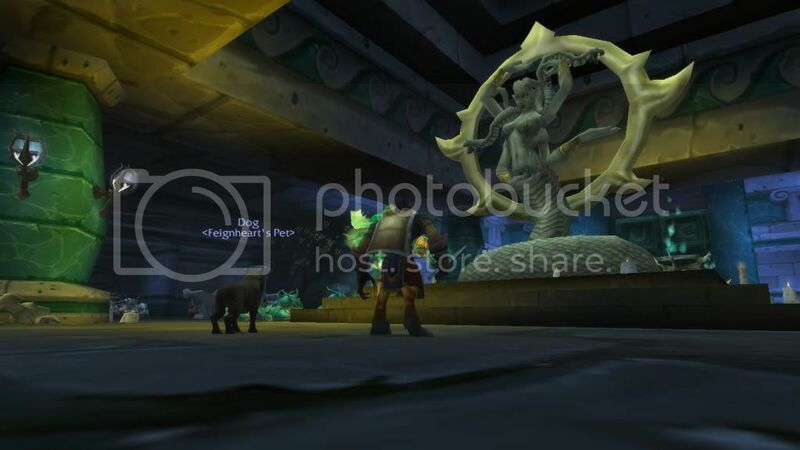 Anyway, the main point of my opening is to put across the big emphasis on the constantly growing war between the two opposing Alliance and Horde factions. Like I have mentioned in earlier posts, the story focuses a lot more now on the conflicts between the factions, and for me a lot of my quests are based upon it, at my current level of 32. If I am honest from what I have gathered so far, the Horde are so intent on a destructive path, for reasons I am still unaware of, that they have even begun attacking their own. I'm not sure what has sprung this sudden clash, although I haven't played in some time, so the story is really sucking me right in! It just feels great to be revisiting old feuds and seeing new ones created in the process. 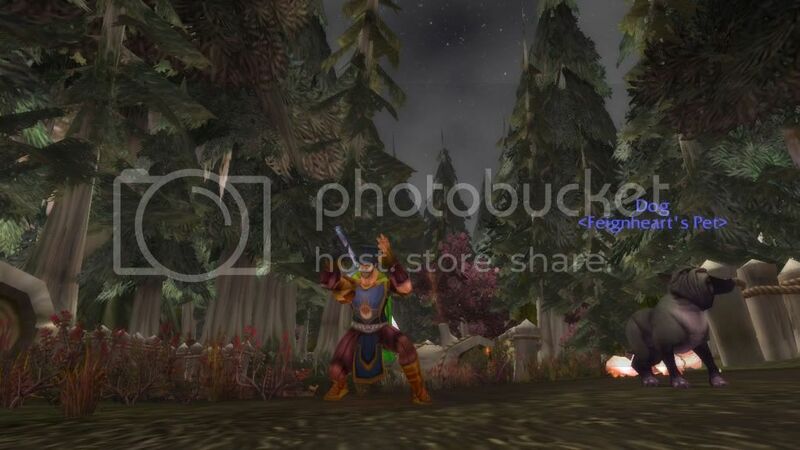 No more 'Alliance join with the Horde to fight a bigger cause' and all conflicts put aside! 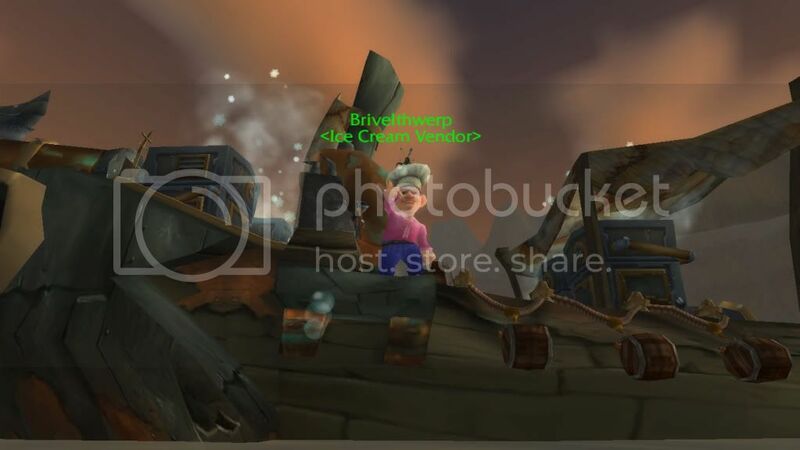 So alongside from seeing a spam-ful of local defense alerts to show the horde attacking alliance bases, bringing on a few small pvp scenarios, leveling just keeps getting better and better! 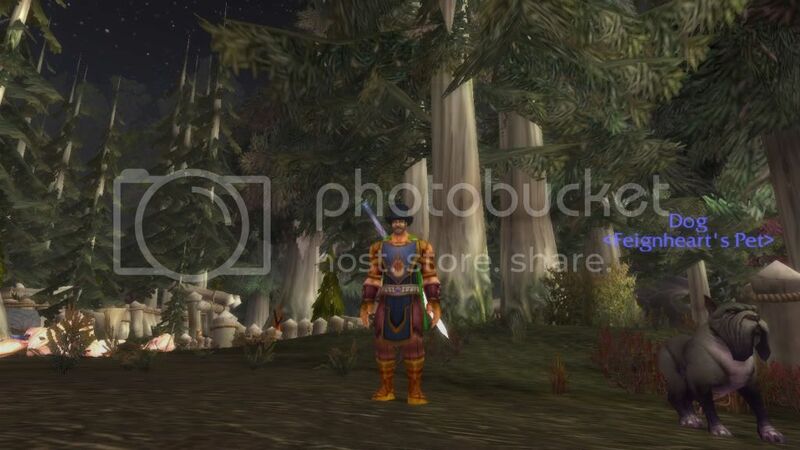 In my last post I was working my way to completing Ashenvale. 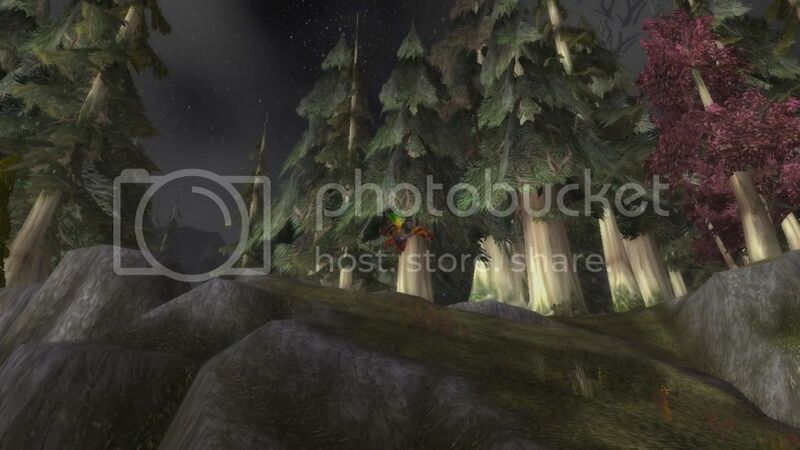 Although I recieved a quest taking me onto Stonetalon Mountains. Seeing as I had done quite a bit within the current zone, and the next quest within it was green, I decided to move on. This was a rather weird feeling, which I will explain further later. Though for now I will just tell you a feature which was really 're-freshing' to the game/leveling. The convenience to have 'mobile quest completion/attaining' as I call it. This isn't for every quest, but a good chunk of my recent ones within the Stonetalon zone allowed me to use this. Basically you had a means of communication with the quest giver, i.e.A Gnomish radio device in this case, which as you can guess, allowed me to speak with the quest givers and complete/take on quests while on the go. So a very new medium to the game, which I found really cool! Now I come to my point about taking my own path in the game (in the previous paragraph, where I mentioned feeling uneasy about moving to a new zone earlier than usual). When I would normally level, I would stick to one zone at a time until it is fully completed. Which in today's terms means gaining to [insert zone here] quest achievement. This meant even if all the quests were green, and I had yellows leading to other zones, I would stick in that area. I would even complete a few grays, if i was close to the end of a zone. This probably sounds very weird to some. And you ask yourself, why? Well the truth is, I don't like to feel as though I am missing out! I really enjoy following the story and keeping it 'in order' and gathering all the information I can, and seeing everything before moving on. Though this does place a burden on me in a way, for a few reasons I can now see. One main reason, it hurdles leveling speed. Not that I am one to rush through content! Oh no. Although it does allow the game to become a bit un-challenging, mainly when facing lower level quests which can also make the experience become a bit stale when sticking to an area for such a long time. Another point is that it doesn't leave as much to look forward to another time. So I really gave this all some thought. What is the main point of this game? The whole reason behind my whole blog at that matter! To create your own path and your own journey! That's what blizzard intentions are in most cases! So with much thought, I have decided that in my scenario, to just let it be. That means just going wherever the game takes me! The story will all pan out in it's own way. My own way! Unless I had the mind of a massive achievement whore to complete all the achievements in every zone (Which i really don't), let the game take you! If it was all linear and straight forward, I really doubt it would be so successful, of which many game designers have failed with! Another point, is that it leaves alternative routes for other characters you are leveling to keep the experience fresh and gives you things to come back to even when you hit the level cap. This all just proves how much content their really is now! So with my little scenario covered (which you may find a 'rant'), I did eventually come to a conclusion with myself! 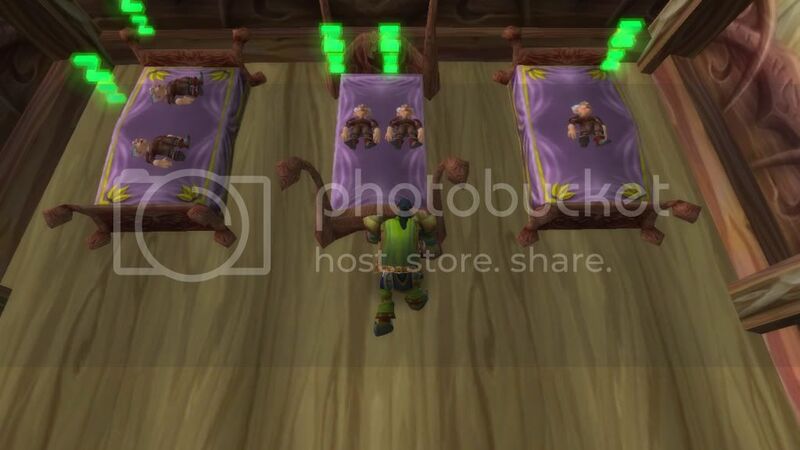 Now faced with choices to; finish Ashenvale? 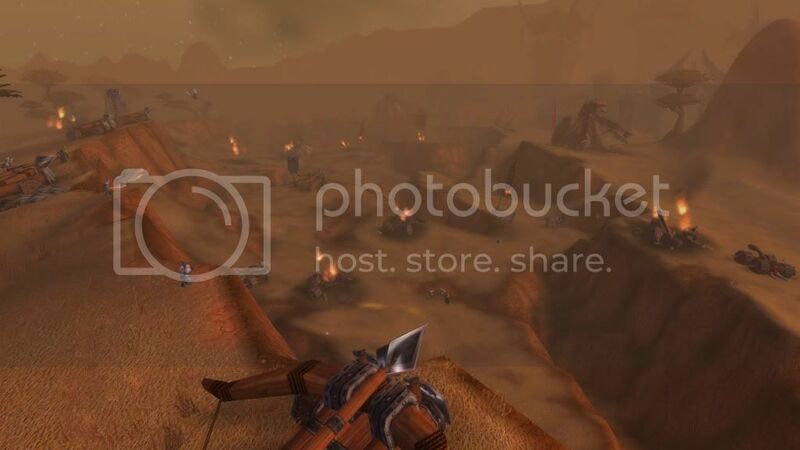 Continue with Stonetalon Mountains? 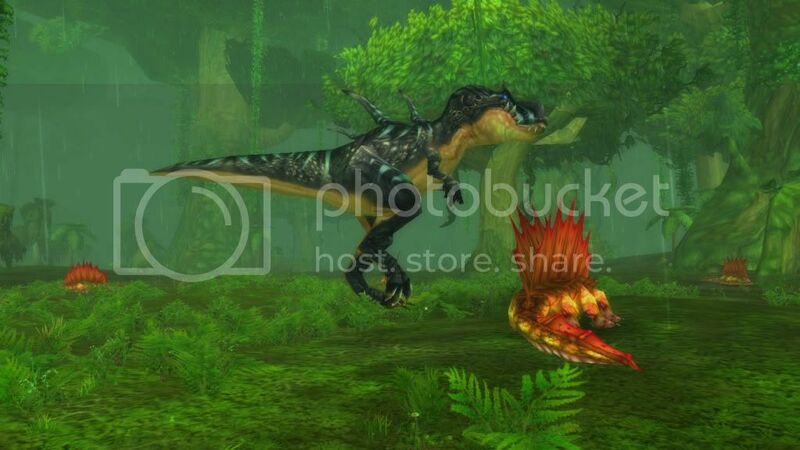 Move onto Southern Barrens or even Stranglethorn Vale? I'm going to choose my path, which I feel destines me for.. The Barrens (Southern)! 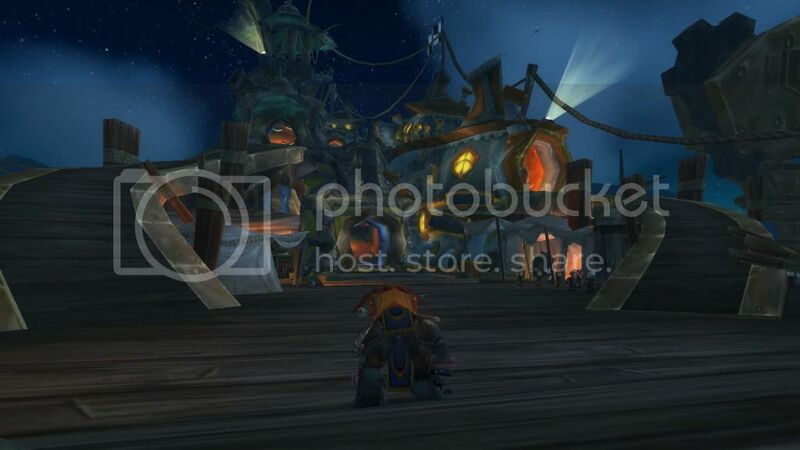 Oh and like I said, to make up for the poor intro picture, here are some more extracts from my Leveling Album! Their were 2 in the bed and the little one said.. 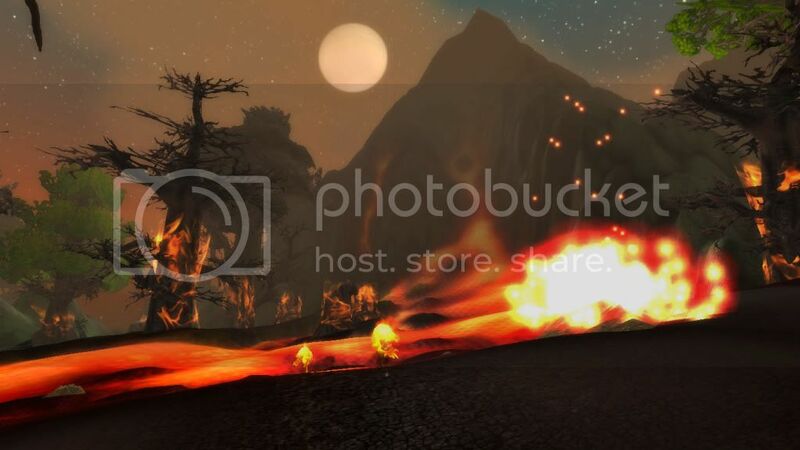 Yes, maybe not interesting to everyone's taste, but I find the re-vamped and new shattered environments (Cataclysm effect in the left image of the volcano) have some really spectacular sights. Which gives my new hunter skill 'Eagle Eye' some use. This allows me to target any spot within a large range and hold a point of view their, like a 3d telescope? 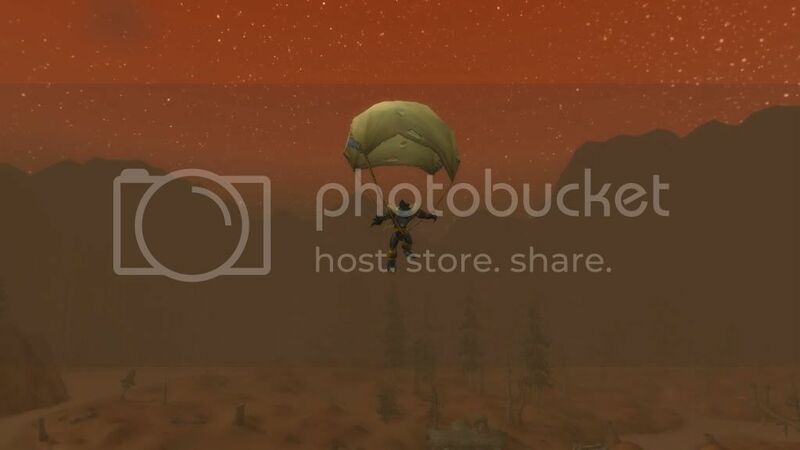 So this allows room for some great screenshot opportunities, especially being able to target area's currently out of my reach. Though I'm sure I may find more practical uses for the ability soon enough. Anyway, onto something which has really caught my attention in new content. 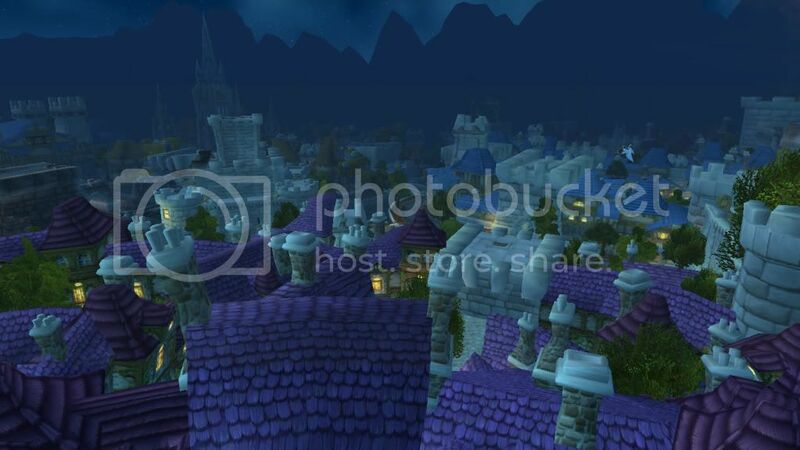 From the start of Level 1, having the Forsaken attacking Gilneas for example, their has been a lot of focus around the old Alliance vs Horde. 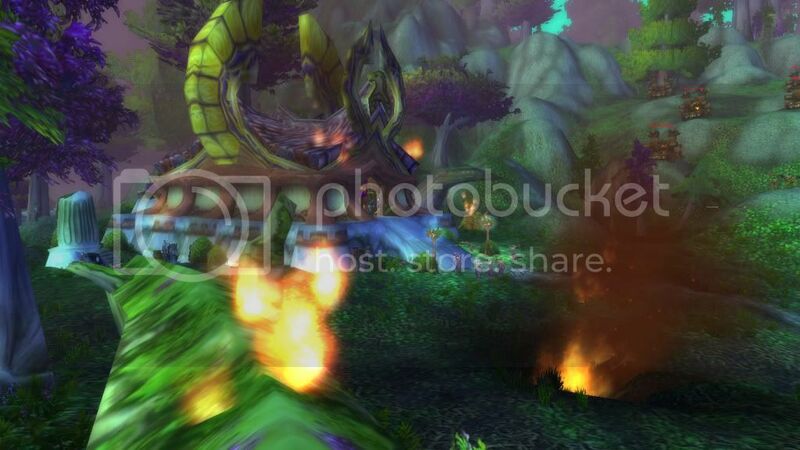 Though now I have moved into Ashenvale, I have really seen this thrown into full effect. 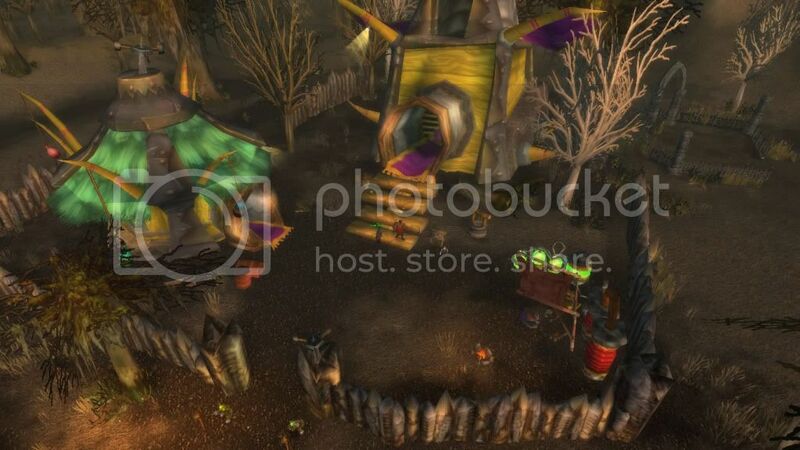 You first get a glimpse of a proper, even though small scale, faction battle between the two near the entrance to Ashenvale from Darkshore, at 'Maestra's Post'. At which you acquire some quests to aid the defense from the horde attack etc, which are all very nice. You are then eventually lead onto Astrannar, another, though slightly larger, alliance post within the zone. And again you are under constant attack from the horde which lead you along another set of quests, one of which I have to mention makes you feel like a fireman, or more appropriately fireworgen? See what I did their. And being able to take control of a Elven 'glaive thrower'! So I really feel that taking the game back to it's original roots with some good old faction wars, which I thought was slowly phased out in the previous expansions, is a really good move by Blizzard. Especially now I have gained my first Honorable Kill! Yes, I know, I know, Wish you were me huh? But yea, created a stare off for a while between myself and a Orc Warrior, which lead me to showing him who not to mess with. Well after taking on some quests leading me their, I decided it was time to try out the new/improved (To me anyway) Dungeon Finder feature. Let me take a moment to say how great this tool is! So seamless and simple to use. Literally within seconds I had selected what dungeon I wanted to que for and what role I wanted to play as (Obviously DPS), alongside a option whether or not you would consider leading the group, which I of course selected. So soon enough I was notified that a group had been created and was ready to go, so along I went. You want to know something REALLY cool about this feature? It's actually cross-server! Now is that great or what? At first I thought.. Wait a minute, what about all the problems involving loot etc? Well that's of course been covered with the ability to trade, even soul bound items, with anyone in the dungeon with you for a period of 2 hours. So far so good. Now to start clearing, just after I picked up a couple more quests at the beginning of the dungeon..
Actually.. Instead of going through the entire dungeon with everyone, which I'm sure would bore you to death, I'll just put down the main points that I encountered. First off, the world map, I noticed, now features the dungeons (I know they had them for larger raids) and all their levels/rooms, which is such a great aid! 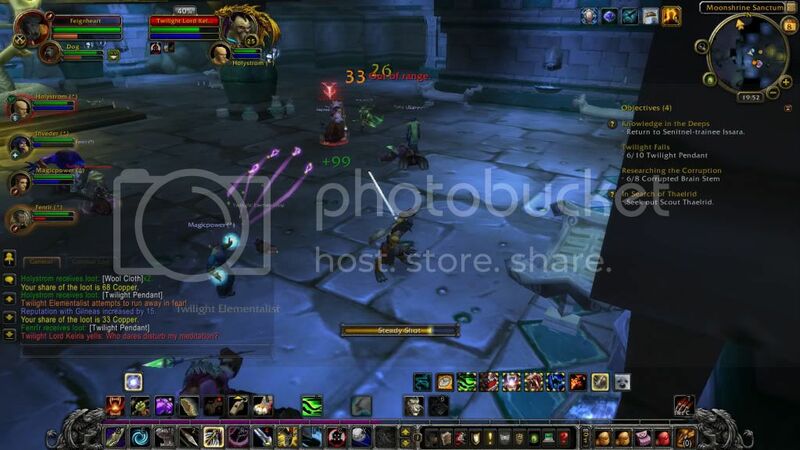 As I used to always get lost in these winding dungeons ending up being killed by packs of mobs. Also, having the chance to take on tougher mobs, allowed me to experiment with my attack rotation, which I eventually sussed to give me a nice damage output. And I must also remember to make sure I feed my pet! This is because, for those who don't already know, your pets have a happiness guage, which decreases over time, causing a drop in damage %. However you can simply keep your pet 'fighting happy?' by feeding him/her with their food diet. Sadly, when we had defeated the finall boss, the group left and I was left with a one or two quests items/mobs to kill and gather. So what did I do? I thought I'd try my hand at soloing them! I tell you now, my and me pet make a great team! My pet just acts as a tank, taking all the damage while even dealing a significant amount too, allowing me full out DPS on the target. Which, considering they were elite mobs, allowed me to complete my quests and gain the BFD achievement, landing me with a few nice blue gear items to equip my character with. Now drawing to a close to my post, a few quick updates. Gained some nice new hunter skills, including my first 'trap' ability (Immolation Trap), multi-shot and a new aspect, allowing me to run faster. Also to add, I am now back at work, so may not be able to post every night like I have been. Which may be a plus for you guys, as it means you have more time to soak in each one and gives me more time to play and gather idea's for the next one! So my leveling journey will now be labeled something along the lines of 'Journal Entry 4' etc. Level 27 now. Keep posted! Yes that's right, hit level 20! Acquiring the ability to switch between my human form and Worgen, 'cursed', form. Also.. Running Wild? 60% speed increase? Yes please! 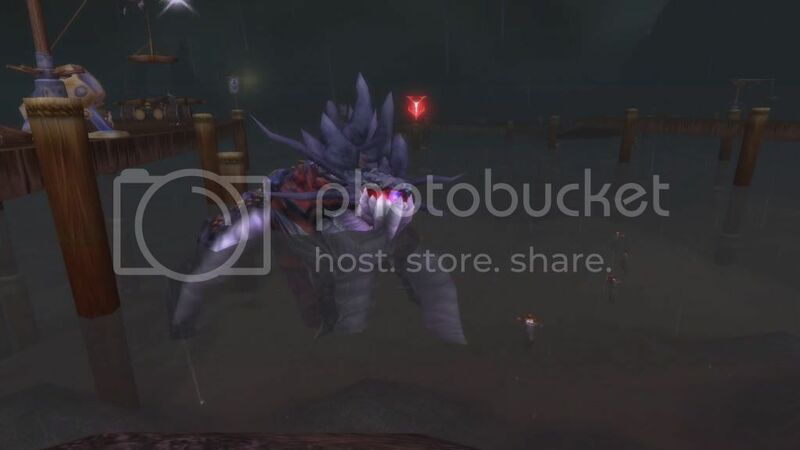 This ability which puts you onto all fours acts exactly like any other ground mount, i.e can't be cast in combat etc. I also gained the 'Apprentice Riding Skill' with this, though I'm not sure yet whether we actually have mounts, or if this is just to go along with the new ability. So while leveling and passing 10, I decided to choose the 'Beast Mastery' talent tree. I just feel like having more focus around my pet is how I'd like to play. Who wants a mad, crazed, tormented, (and loved of course)... Dog, not to mention grumpy looking, on their tail? Slight possibility of lack of post/mail men about. 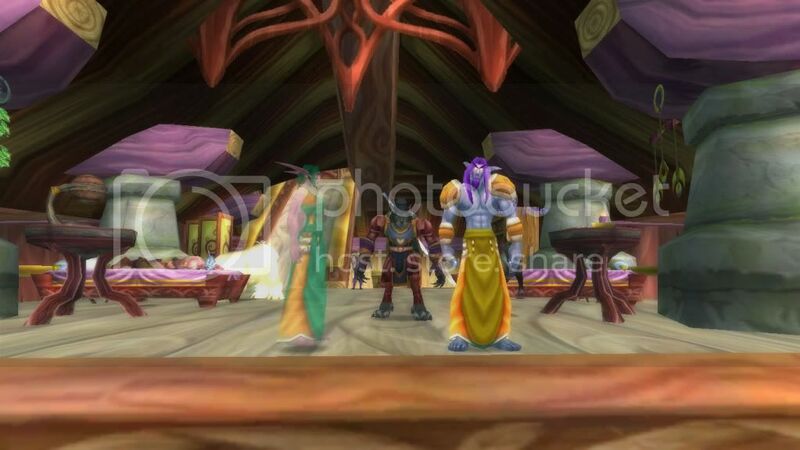 To add, level 20 also unlocks the pet talent tree, which adds even more customization options to the class! Well now I have spent some time playing a hunter, a little update on how I'm getting on with them. Still really enjoying the fast pace of them, flying from mob to mob, sending my pet in to the next one while I finish off my current one. Though it is slowing down now that mob levels are increasing, which brings me to my point about the skill 'Steady Shot'. Thought I'd never start using this, as I have had it since a very early level. The mechanic of this skill works alongside the new focus 'resource' of sort. Every time you cast/shoot it (takes 1.5 seconds for me to fire it) you gain back a chunk of focus. So previously I would down the mob in a few hits, and regain any lost focus by the next mob, so never had much need for it, seeing as 'Arcane Shot' and 'Kill Command' which are instants, do a lot more damage. So now mob level is increasing and are becoming tougher, it's slowly coming into play, which is nice. To add, the rate at which you gain new abilities, always giving you something new to experiment with is very nice. Though, at least for a hunter, I am already finding my skills piling up. Scatter shot, Serpent Sting and Disengage being a few to the list.So putting a little time in finding some key bindings has been needed, and I can see it being a big part of my leveling experience, not to mention once I get into the higher levels at this rate. But I wouldn't put this as a negative, it's great, really opens up the game play with different options and ways to take down an enemy! Right, my last few points in this post. Quests. Still interesting and keeping my attention? OH YES! Slightly linear at first, but not a problem. Alongside the phasing technique that i mentioned in my previous post, the experience is just getting better and better. 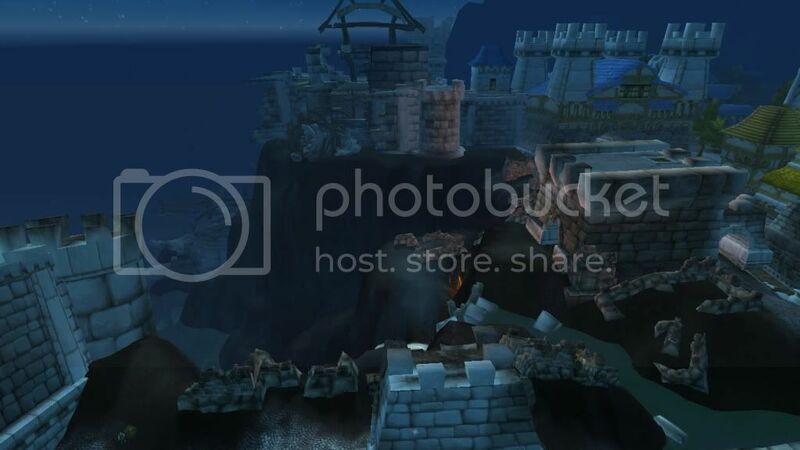 Your really getting the explore the entire zone and see some amazing sites which have even been destroyed/recreated/created or just updated, alongside seeing the reactions/consequences of your actions! 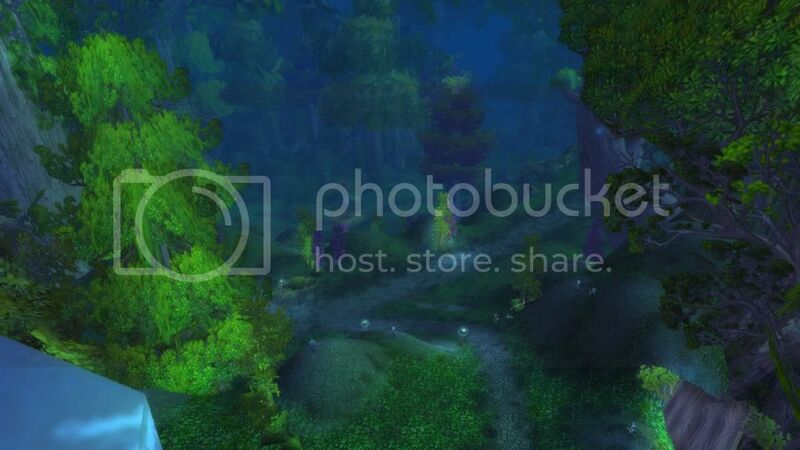 Which got me the 'Expore Darkshore' Achievement, go me! Just by doing the quests, which flow from one to another seamlessly. Last note about how much better the quest lines generally are in the lower levels. I remember before when the most epic task you would be held responsible for, would be killing a few boars and delivering some Kings Christmas cards. But not now! NoNoNo! Your thrown right into it. 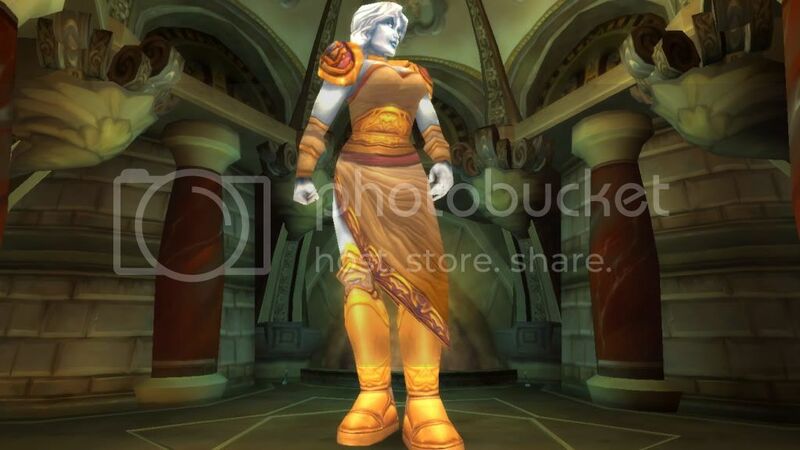 Getting to carry out Malfurion Stormrage's requests and seeing characters like Lady Sylvanas and Azshara (who are very very important characters in the WoW lore for those who aren't into it). You really feel like your getting right into the story. 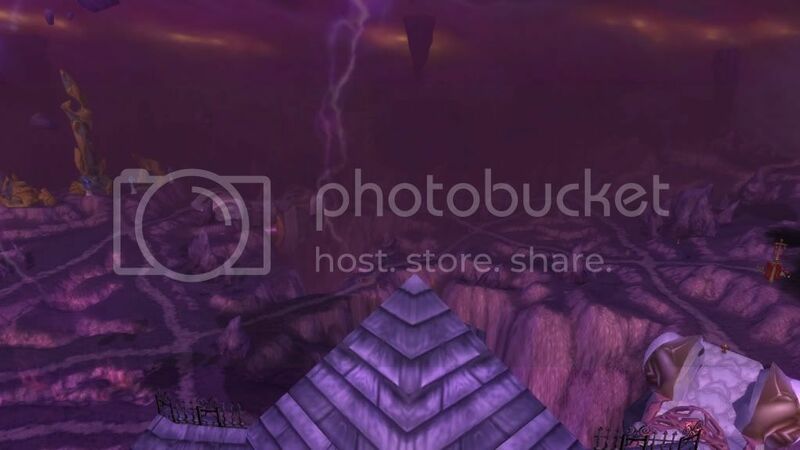 That's it for now, just finised up Darkshore getting the achievement 'Darkshore Quests', next... Ashenvale! Keep posted, a lot more in store and to come! Finally drawn myself away from the game! Mainly because I am seriously hungry, which gives me time for an update while it is cooking.. Yes, that is him! My new creation! 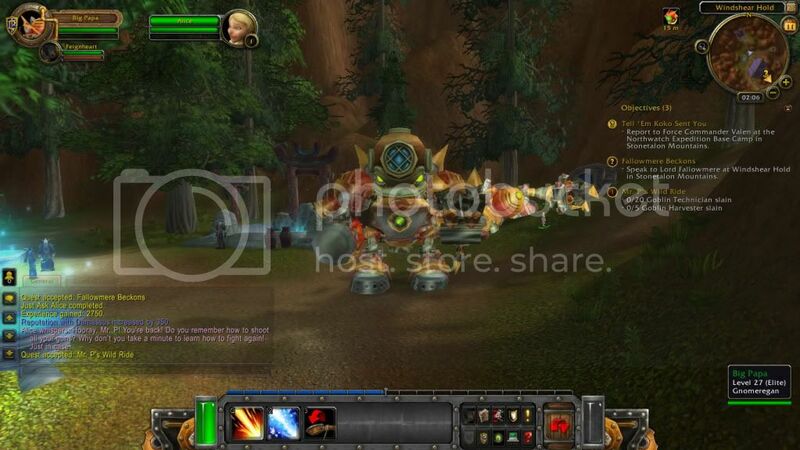 Welcome Feignheart to the World.. of Warcraft (Original I know?). So, I decided to create a Worgen Hunter, name seemed cool and rather fitting too. To begin with, I think the best place to begin, after the stunning cinematic intro, is the starting area. First impressions is very ery, lower class human era. Also, the voices are very separable from the humans. More like a 'cockney' or slang version of what were used to, which I feel really sets the scene. Alongside a number of more cut scenes during the very expansive and long starting zone (always managing to keep your interest mind you), with quests continuing to remain individual/new (Battle of Gilneas! for one), the development of phasing technology is amazing! If you don't know what phasing is, it's where the same environment has multiple states. As in the specific zone/area changes as you progress through the game and quests. The continuation of this technique really really makes you feel the effect of your actions, which is such an improvement! Top Hat - Jeckyl and Hyde Anyone? Now, a quick mention on what I have gathered so far by playing the hunter class. I have very limited previous experience with hunters, but I have to say, so far it's been great. With the new mechanics and system upheaval, it seems fast paced to say the least! Not to mention the fact that you start with a pet! For the Worgen race anyway, not sure about the others. 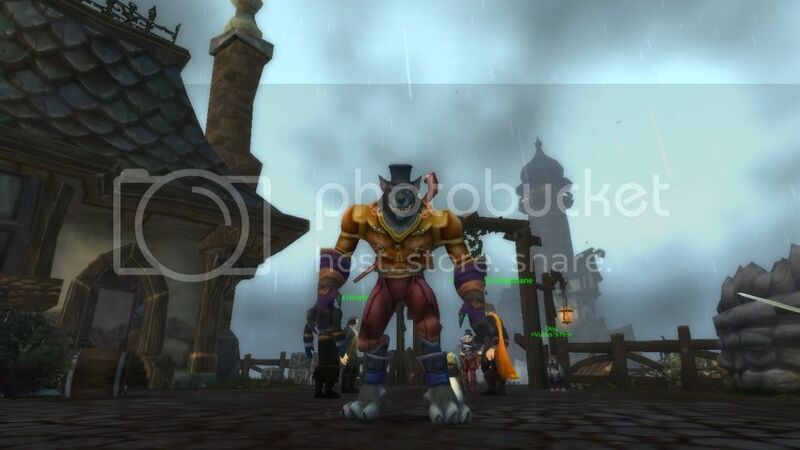 Second of all, the Worgen racials. The main ones being, the short speed increase called darkflight, which is very helpful though mainly used for a little boost while getting around at the moment. And then their is of course the 1% crit increase and shadow/nature damage resistance which is nice. Ah and the skinning speed/skill benefit, which lead me to take up skinning/leatherworking. 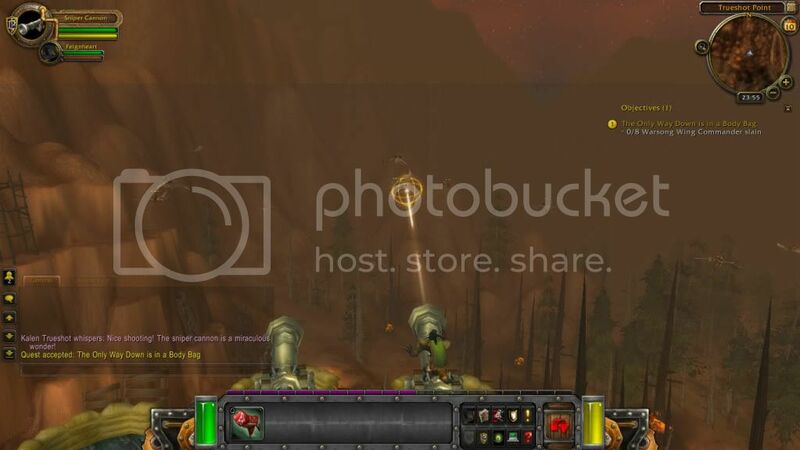 Last of all, the features which have been introduced since I last played and with the release of Cataclysm. First of all Real ID. This is just brilliant. I know it's been in the game a while, but what a great idea! Then theirs the new quest/map interface and guidance systems which make questing a lot less stressful and more enjoyable allowing you to take more of the game in and enjoy what it has to offer. 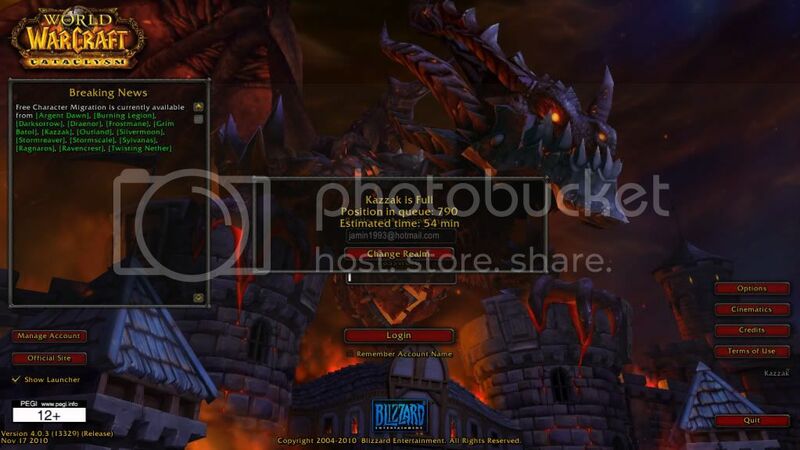 And no longer the need for specific addons etc. I'm sure their are a number more than I have to find, but so far so good! Only negative so far, was a small blip with the downloading which caused a slight bit of confusion and lag/cpu spikes when I first started playing. But nothing which didn't go soon enough! So no complaints, which is just dwindled out by the amazing gameplay. DON'T MESS WITH THIS LADY!